The sales of new cars and light commercial vehicles in Russia in 2018 grew 12.8% year-on-year amounting to 1.8 million units, according to data from the Association of European Businesses (AEB). In December, the sales of new cars and light commercial vehicles increased by 5.6% month-on-month and amounted to 175.2 thousand units, the industry association said, according to the RIA news agency. “Total market sales in December improved by 5.6% on an annual basis, closing the year with a 12-month streak of consecutive growth. Thus, cumulative sales in 2018 reached 1.801 million units, posting a 12.8% plus compared to the prior year,” said Joerg Schreiber, Chairman of the AEB Automobile Manufacturers Committee. The outlook for 2019, however, is not so straightforward, the industry representative said. “Consumer tax increases and a possible tightening of U.S. sanctions create significant risks and uncertainties for the market performance especially in the first quarter of the year. Assuming no drastic change in government policy and support for the automotive sector, market participants however expect that fundamental market demand should be robust enough for sales to consolidate and to return to a growth pattern in the course of the year,” AEB wrote, adding that with this in mind, “our 2019 full year prediction for sales of passenger cars and light commercial vehicles in Russia is a moderate improvement to 1.87 million units, or by 3.6% compared to the prior year,” Schreiber added. Lada Vesta was the top-selling car in Russia last year, with 108 364 cars sold last year, EIB said. 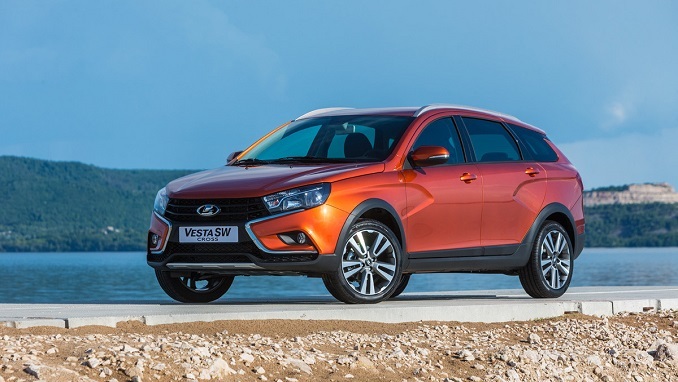 In second place is another Lada model – Granta, with 106,325 cars, followed by last year’s best seller – Kia Rio, of which 100,148 cars were sold in Russia in 2018.